We are proud to bring you another Finished unique never done before C64-RetroPlay project. iNC and i have managed to realize a easy to use Commodore 64 automatic gameloader. 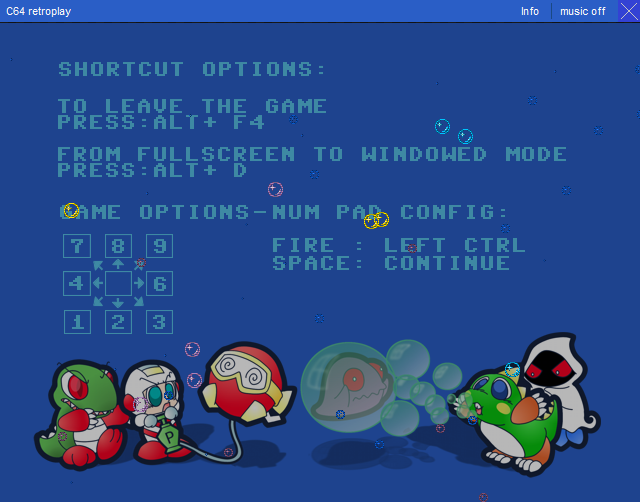 The cool and unique thing about this is that you dont need to have a emulator program installed. No gameroms to insert and manually load. No Gamecontrole settings everything is done and installed automaticly for you. 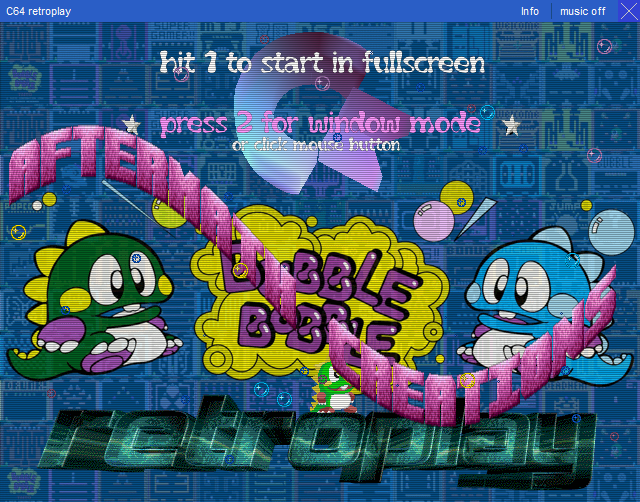 Our first release has the 30 year old game Bubble Bobble included. We hope you all enjoy this new way of Retrogaming that can be used by almost everyone from young to old. We have added 2 screenshots of the C64Retroplay coded program and its included options. Amazing piece of work. Thank you very much for sharing this. Bubble Bobble was without doubt one of my greatest childhood memories in my gaming world. I remember when I only had Super Mario Bros, Bubble Bobble and Double Dragon on my old NES. Good to bring the old memories back.